Nine hundred NBA games, at your fingertips. Are you a Cleveland Cavaliers fan living in Miami? A Los Angeles Lakers fan shipped to the Lakers' old home in Minneapolis? A Boston Celtics fan on assignment in Omaha, Neb.? 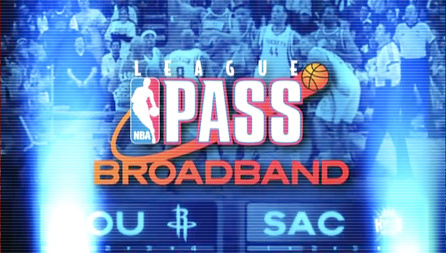 With NBA League Pass Broadband ($100), you can watch LeBron, Kobe, K.G. and the stars from all 30 teams (over 900 games) on your laptop, wherever you happen to be stationed.